Shogun Bros. has just announced a new version of their Chameleon X-1 Mouse, and this Assassins Creed Revelations themed mouse will be officially launched at CES 2012 later this month. 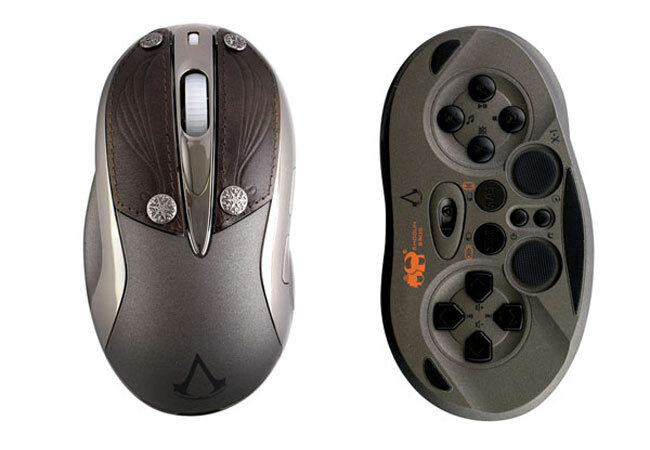 The new Chameleon X-1 Mouse with be available in two different colors, ‘Altair white’ and ‘Ezio grey’ and it comes with some antique decorated leather on the mouse buttons. It features the same specifications as the original mouse with a total of 16 buttons and a 1600 dpi sensor, there are no details on pricing as yet, we should have more details when it is launched at CES.